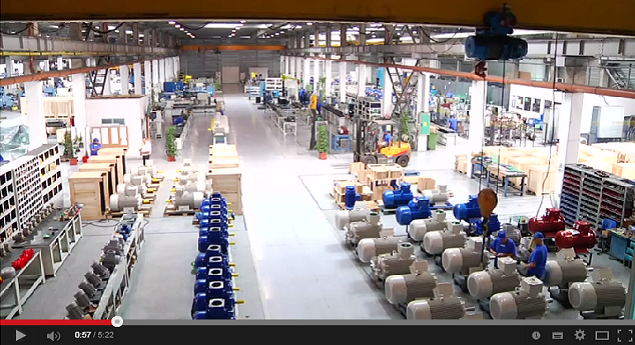 UMEB Elektromotoren manufactures explosion proof electric motors﻿. 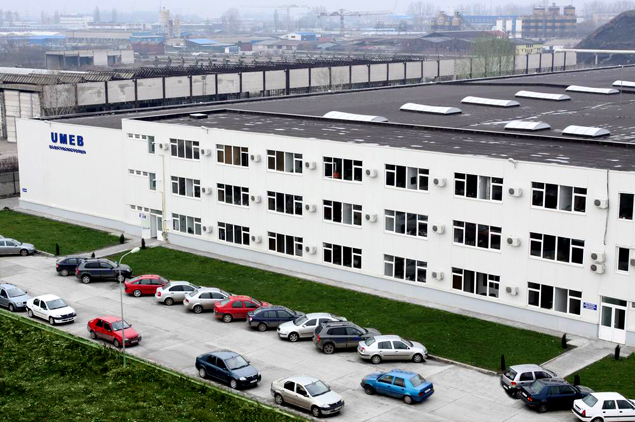 We are a well-known Romanian company manufacturing low voltage rotating electrical machines and generating sets. 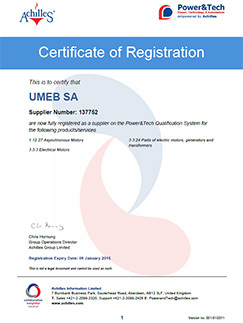 Umeb Elektromotoren ﻿has started in 1934 and has reinvented itself as a brand in 2009﻿ when it ended its cooperation under the wing of other manufacturers, such as: ABB - for 7 years, for which it had been manufacturing general use motors, frame size 315-355; as well as Euromotori - a former distributor, for 25 years. 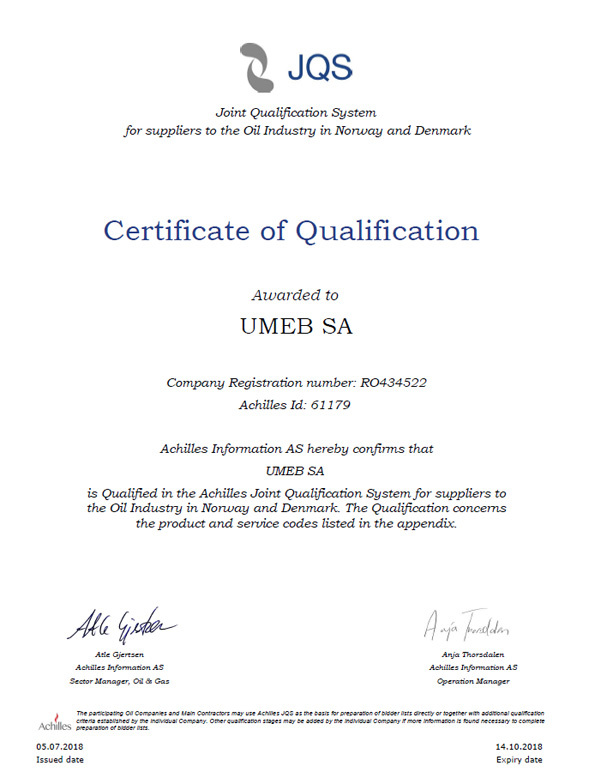 ﻿ In over 60 years of experience, UMEB gained and has maintained a dominant position in the internal market and, at the same time, an important place in the international competitions. 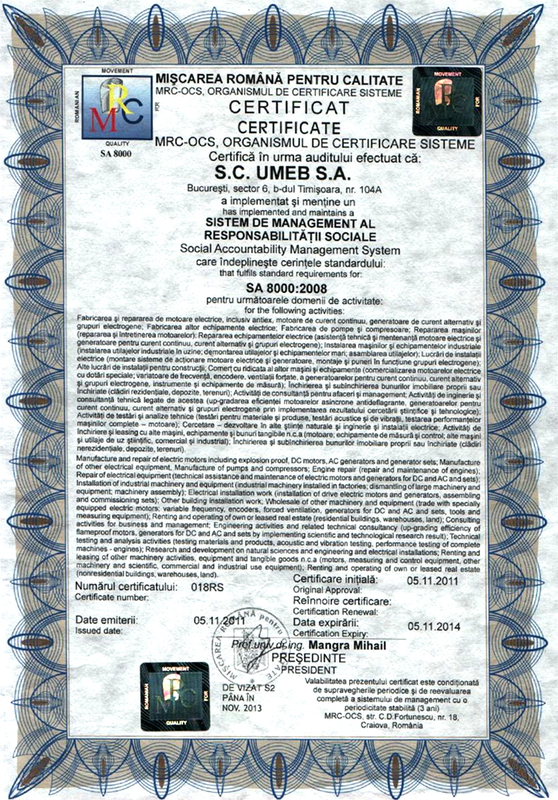 The products manufactured in UMEB Elektromotoren ﻿are used in all branches and sub-branches of the Romanian economy, being the unique internal manufacturer of many product groups. 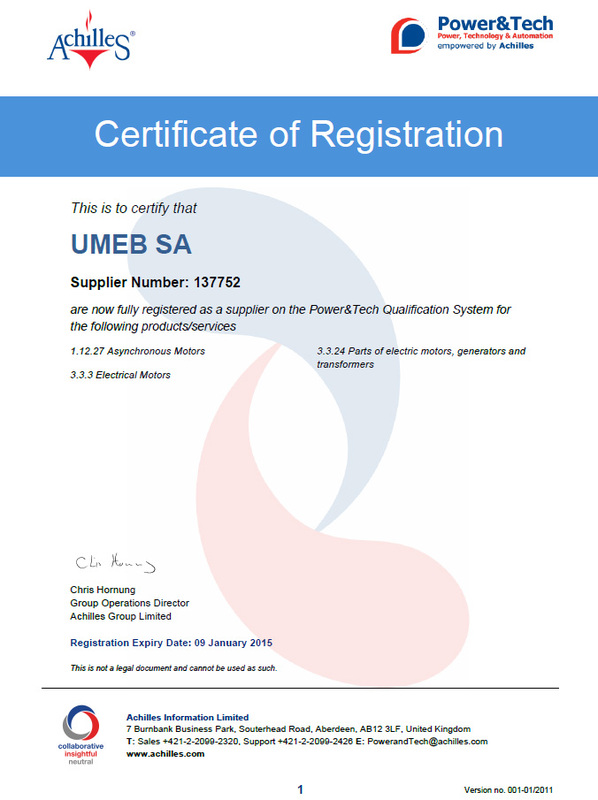 As a result of pursuing quality excellence, UMEB was certified in 1975 by PTB-Germany. UMEB Elektromotoren ﻿can also manufacture products in OEM system. 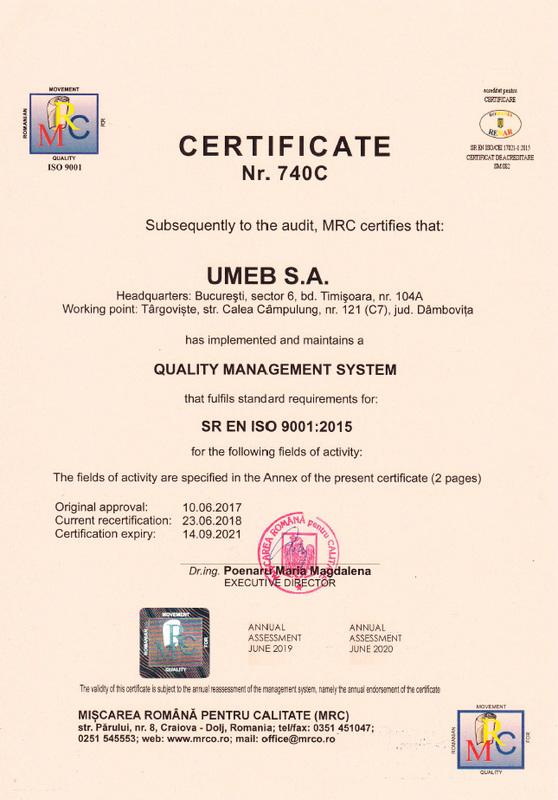 At present, UMEB Elektromotoren ﻿has, as stockholder, the American investment group, New Century Holdings (NCH) that administrates several companies of the Romanian economy key fields.